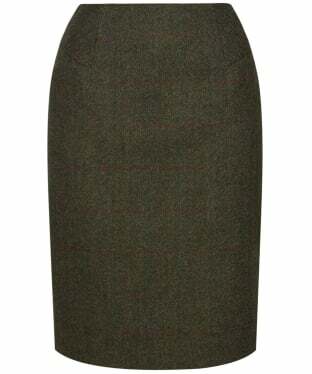 Cut an elegant silhouette with our charismatic range of women's pencil skirts. Fitted, flattering and oh-so feminine, these skirts will transform your look due to their simplicity and stylish demeanour. 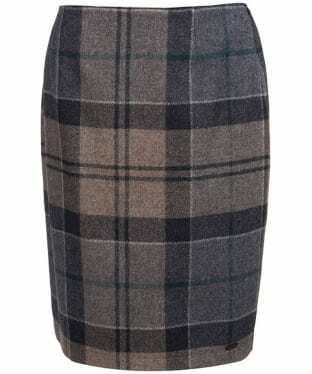 The classic pencil skirt has been a timeless look since forever, dressing women in a stunning figure-enhancing design that nips in at the waist and falls beautifully for a sophisticated finish. 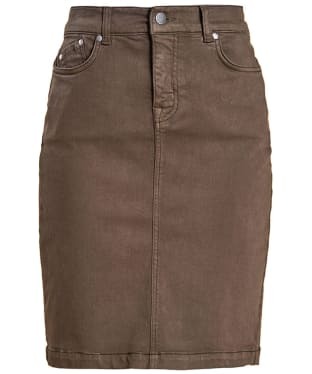 Textured fabrics and luxury detailing really make this style of skirt a spotlight piece, simply wear with a fitted top or blouse and a pair of heels for a powerful but feminine look. 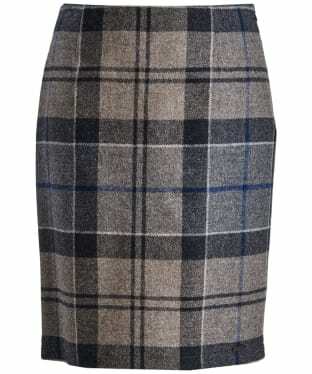 The women's Barbour Nebit Pencil Skirt is stylish, sophisticated and timeless; a winning combination when it comes to updating your skirt collection. 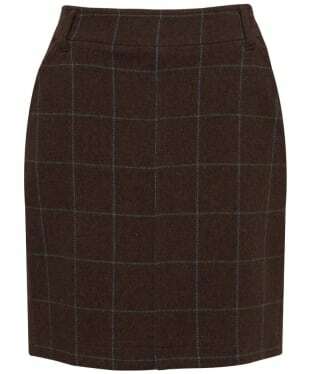 Crafted to a slightly longer length that makes it both office and evening appropriate, it features the Barbour winter tartan set in muted tonal hues with splashes of deep red for added detail. Boasting a Barbour jacquard lining for added comfort, it fastens with an invisible zip at the side seam for a clean and stylish overall look. 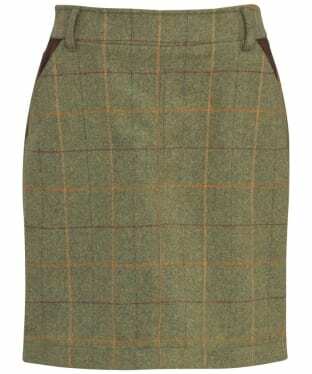 Barbour branding can be seem to the lower hem in the form of a metal plaque, whilst the Lambswool composition means this style offers more warmth that your average skirt, making it perfect for the cooler months. 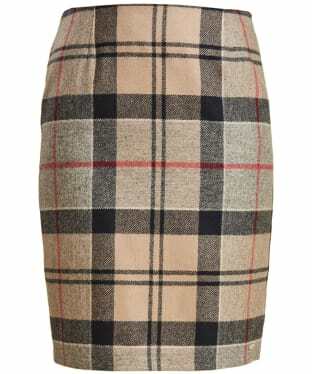 The women's Barbour Essential Skirt is a pencil skirt shape with jean styling. Crafted from stretch cotton for extra comfort and movement for everyday wear. Features include 5 pocket detailing, zip fly with button fastening and belt loops. Finished off beautifully with Barbour branding. Wear with your favourite tshirt and short boots for a smart casual look, work or play. Part of the Essentials Collection. 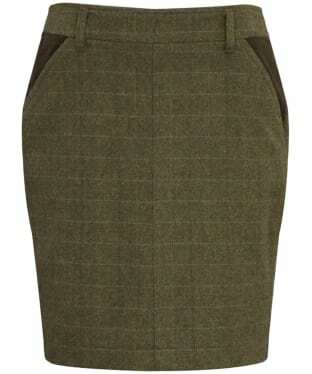 The women's Dubarry Fern Skirt is a country style tweed skirt that's a perfect fashion statement for this season. 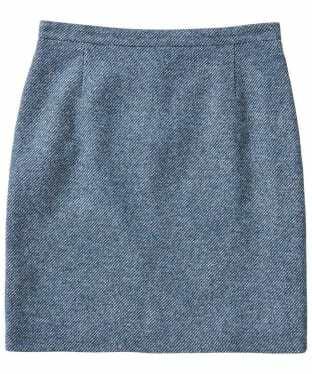 A knee length, pencil skirt with a streamlined and flattering silhouette with a tweed design and crafted from 100% Teflon coated pure new wool for a luxurious and comfortable fit. Dubarry branding is fitted with contrast gold colour, as well as interior detail. 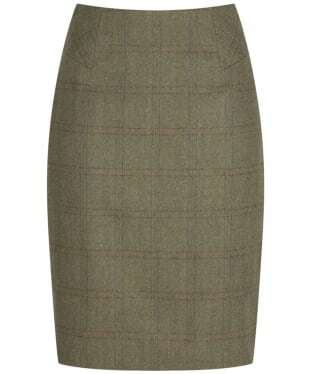 For the perfect country look, the Fern skirt can be worn with a tweed jacket and blouse, whether it's for casual outings, or for your work wardrobe this skirt is an essential this season. The women's Seasalt Bunker Skirt is perfect for carrying you through the seasons with style and ease, boasting vibrant colouring you around bound to love. 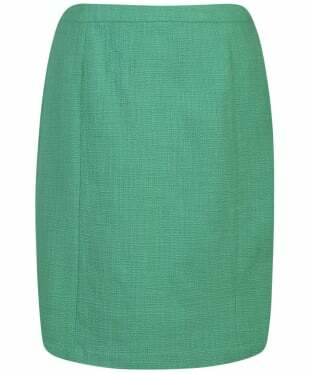 The Seasalt Bunker Skirt is ideal for adding a pop of colour to your look, tailored to a flattering pencil skirt for added wearability. 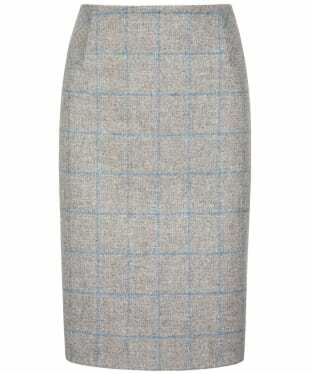 The perfect skirt for dress up teamed with a pair beautiful patent heels, or dressed down with a pair of boots. Add an exhilarating colour explosion to your wardrobe this season with the Women's Seasalt Bunker Skirt. 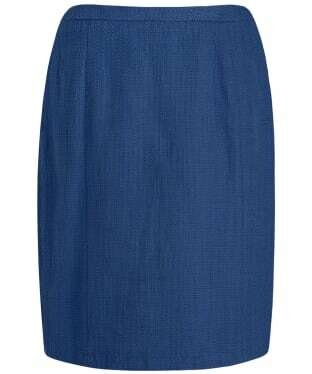 This simple yet beautiful skirt has a texture to it, giving a twist to a classic design. The colour palette is inspired by the varied north Cornwall coast. 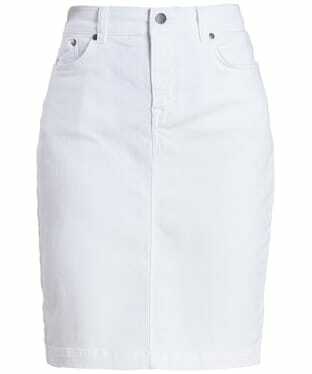 A flattering fit pencil skirt that sits just below the knee with waistband and concelaed zip fastening. Team with a dark top and tights for a bold look at the office.